There have been 14 deaths at the Eloy Detention Center since 2003. Photo by Arizona Daily Star. The Eloy Detention Center has not failed an inspection since 2006 despite having the highest number of known deaths at any immigration detention center in the country and frequent reports of sexual assault, a new report by immigration reform advocates says. The inspection process that Immigration and Customs Enforcement uses is ineffective and often makes it easier for detention facilities to pass, including those with publicly reported human rights abuses, according to the report by the National Immigrant Justice Center and Detention Watch Network. The report is based on inspection documents for 105 immigration detention centers from 2007 to 2012, including Eloy, obtained after the groups sued the federal government. 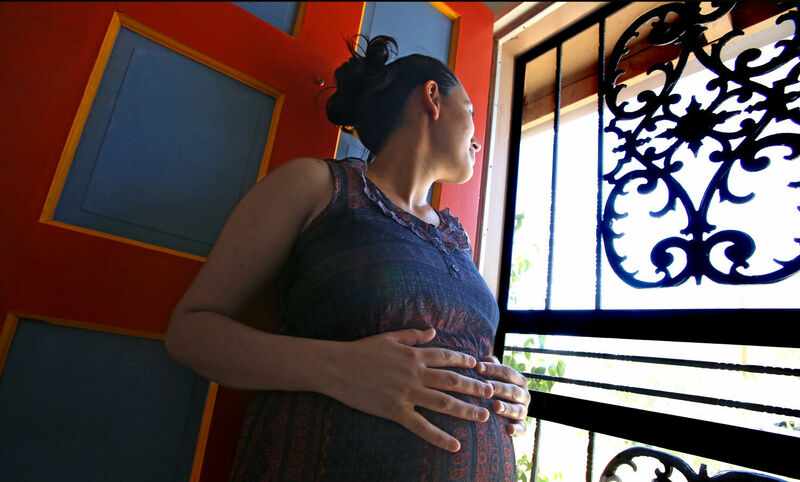 A Honduran woman, who is seeking asylum, spent the first few months of her pregnancy in a detention center. She said her pregnancy was affected by her detention because of stress and poor nutrition. Photo by A.E. Araiza/Arizona Daily Star. A clash between immigration enforcement priorities and detention policies means more pregnant women are being detained longer. That puts women and their babies at greater risk because of the added stress and sometimes inadequate medical care, say groups that work with immigrant detainees. It also boosts the burden to the nation’s taxpayers if babies in detention are born at public expense. “They have to have nutrition and medical care that tends to their particular pregnancy,” standards that can’t be met in detention, said Laurie Melrood, a local social worker and advocate who has visited with women in detention for years. Officials with the Florence Project, an Arizona nonprofit that provides free legal services to people in immigration detention, said this year they are serving more pregnant women being held at Eloy Detention Center, about 60 miles northwest of Tucson. Those who are eligible for release are being given high bond amounts, usually exceeding $10,000, Florence Project officials said. The Eloy center has always held pregnant women, but most of them were released once Immigration and Customs Enforcement knew they were pregnant, Melrood said. But now recent arrivals are considered a top priority for immigration enforcement and are being detained. “The trend seems to be to keep them as long as possible,” Melrood said. As of June 25, ICE said there were 12 pregnant women at Eloy. All of them met the agency’s enforcement priorities, ICE said. “Decisions for humanitarian release — stemming from various medical conditions, including pregnancy — are based on the merits of each case, the factual information provided to the agency, the potential threat to public health and safety, and the totality of the individual’s circumstances,” Yasmeen Pitts O’Keefe, an Arizona ICE spokeswoman, said in a written statement. There have been 14 deaths at the Eloy Detention Center since 2003. Photo: Arizona Daily Star archive. The death of a man who died while being held at the immigration detention facility in Eloy was a suicide, an autopsy report shows. Jose Deniz-Sahagun, a 31-year-old Mexican national, was found unresponsive on May 20, two days after arriving at the facility. On May 19, Deniz-Sahagun was evaluated for “delusional thoughts and behaviors for which he had to be restrained by correction staff,” the report released Wednesday by the Pima County Office of the Medical Examiner said. He was placed on constant watch due that day to suicidal concerns. He was removed from suicide watch May 20 and placed in a single cell during which checks by corrections staff were to occur every 15 minutes, the report said. Deniz-Sahagun is last seen at his cell door at 4:57 p.m. May 20, the report said. Then, more than 30 minutes later, about 5:33 p.m., emergency responders are seen on a video going into his cell. Efforts to revive Deniz-Sahagun failed. Deniz-Sahagun had stuffed one of his knee-high orange socks down his throat. A small white plastic handle, possibly from a toothbrush, was inside his stomach, said Dr. Gregory Hess, the chief medical examiner. Deniz-Sahagun tried to illegally cross the border through Douglas on May 15, Immigration and Customs Enforcement has said. He had been deported twice in the last four years. The most recent deportation was in April 2013, after the Border Patrol arrested him near Calexico, California. At the time of his death, ICE said, Deniz-Sahagun was awaiting a hearing before an immigration judge on his pending deportation. The agency did not immediately respond to an email about the suicide. 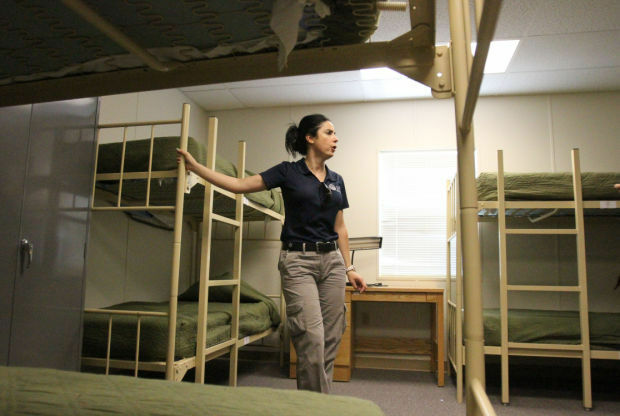 Barbara Gonzalez, public information officer for Immigration and Customs Enforcement, shows a dormitory where immigrant families are housed at the Artesia, N.M., facility. Photo by Rudy Gutierrez/El Paso Times. The federal government is holding more families that cross the border illegally instead of releasing them with directions to report to immigration authorities — but the challenges of doing that are starting to show. In the two months since it opened a makeshift detention center to deal with the large numbers of single parents crossing the border with their children this year, chickenpox outbreaks have slowed deportations, advocates have sued to give detainees more access to lawyers, and now a Salvadoran woman has been paroled with her 18-month-old son due to his deteriorating health. Elena, who asked that her last name not be used because she fled an abusive partner and gang member who threatened to kill her, said she had asked doctors to let her son visit a hospital because he was getting worse. Instead, she learned she would be released. She left Artesia (New Mexico) Residential Detention Center on Tuesday. She’s in asylum proceedings after passing an interview to determine whether she has a credible fear of returning home, but an immigration judge had denied her bond. Her final hearing was scheduled for Oct. 2. She and her son were caught in South Texas in late June and transferred to the 10-acre Federal Law Enforcement Center, which is also home to the detention center, in Artesia. Her son was later hospitalized and diagnosed with pneumonia, an ear infection, anemia and an adenovirus infection. Although he was released after two days, attorneys said medical records show he got worse. “He used to be a happy a child who liked to play and run,” Elena said. “He wasn’t as fussy as you can hear him now,” she said as the baby wailed in the background. 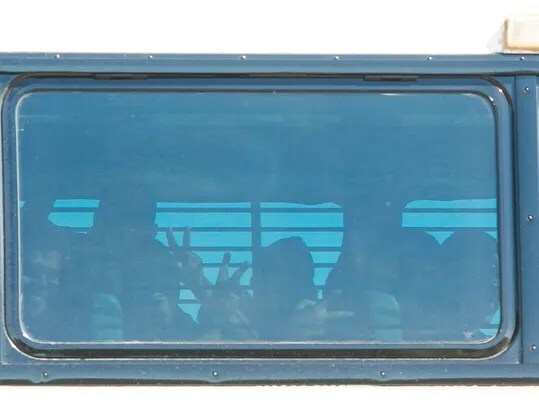 Civil-rights groups are asking the government to stop its “deportation mill” until it can guarantee a fair day in court for the Central American women and children being held at a New Mexico detention center. A coalition of lawyers said in a lawsuit filed Friday on behalf of seven women and three children that the government is violating the women’s due process by implementing policies to deport them as quickly as possible and limit their access to attorneys. That makes it extremely difficult for them to win their asylum claims, the attorneys said. “They’ve been told almost from the moment they are apprehended by the Border Patrol, ‘You will be deported,’ ” Cecilia Wang, the American Civil Liberties Union’s director for the Immigrants’ Right Project, said during a teleconference with reporters. The number of unaccompanied minors and families crossing the border has reached unprecedented numbers this year. Some are trying to escape poverty, others are seeking to reunite with family members, and others are fleeing violence. To stem the flow, the government launched a campaign to deter people from coming that includes detaining and quickly deporting those who don’t qualify for relief. Nearly all of the women and their children held in a makeshift family detention center in Artesia, New Mexico — about three hours from El Paso — are in expedited-removal procedures, which means they don’t go before an immigration judge unless they claim a fear to return to their country. But to plead their case before a judge, they have to pass a credible-fear interview by an asylum officer — and that’s where the problem is, the attorneys said. A bus carrying immigrants arrives at a Border Patrol facility in Nogales, Ariz., on Saturday, June 7, 2014. Photo by Patrick Breen/The Arizona Republic. NOGALES — The mood is anxious among the hundreds of migrant children and youths held at a Nogales center, but their detention conditions are improving, said a Central American official who visited them. About 750 minors were being held there as of Saturday afternoon, the result of an influx of border crossers in South Texas that’s led U.S. officials to temporarily transfer the unaccompanied children to the Nogales holding center. Federal officials told Gov. Jan Brewer’s office that more than 1,000 minors would be transferred to Arizona over the weekend. Jimena Díaz, consul general of Guatemala in Phoenix, visited the center Friday and said there were about 260 children from Guatemala, with the rest coming from El Salvador and Honduras. The children are being kept in separate groups, divided by age and gender. Most are 15 to 17, Díaz said. Teen mothers with their children are also being detained separately. But José Joaquín Chacón, consul general of El Salvador in Arizona, who visited Saturday, said there are a handful of younger children — some as young as 4 — for whom federal officials are trying to find a shelter as soon as possible. 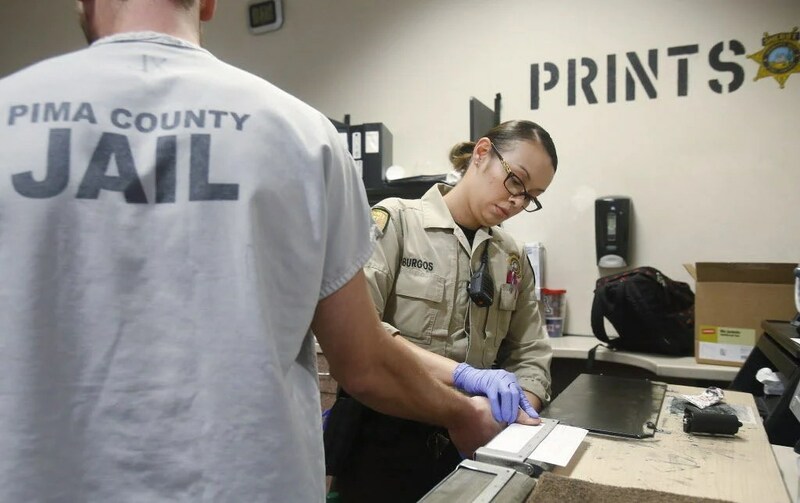 The center, part of the Nogales Border Patrol Station on West La Quinta Road, was recently reopened to handle the new arrivals. U.S. Customs and Border Protection officials say it can accommodate about 1,500 unaccompanied children, as a way station before they are sent to Health and Human Services’ designated sites. CBP has secured additional services such as a medical screening area, bedding, shower areas and laundry facilities, officials said Saturday. Portable toilets are being used and Arizona is sending medical supplies. Vendors have been contracted to provide meals and the Federal Emergency Management Agency is providing counseling. Chacón said that while the situation was not optimal, the U.S. was working on improving the site.